One of the biggest storms in history slammed the Philippines, with wind speeds as fast as 190 mph, by some estimates. Officials with the Philippine Red Cross estimate as many as 1200 people are dead in the wake of Super Typhoon Haiyan, with thousands more left homeless. CNN is reporting that rescue workers are searching for survivors, including children who were torn from their parents' arms. Tacloban and Samar were among the most devastated areas hit on Friday.­ Gwendolyn Pang, secretary general of the Philippine Red Cross told reporters more than 1000 bodies were seen floating through the streets of the region. Roads and bridges are destroyed and power outages are widespread throughout the region. The head of the UN disaster assessment co-ordination team, Sebastian Rhodes Stampa described the scene as destruction on a massive scale. "There are cars thrown like tumbleweed and the streets are strewn with debris...the last time I saw something of this scale was in the aftermath of the Indian Ocean tsunami." A typhoon becomes a 'super typhoon' when winds exceed 150 mph. 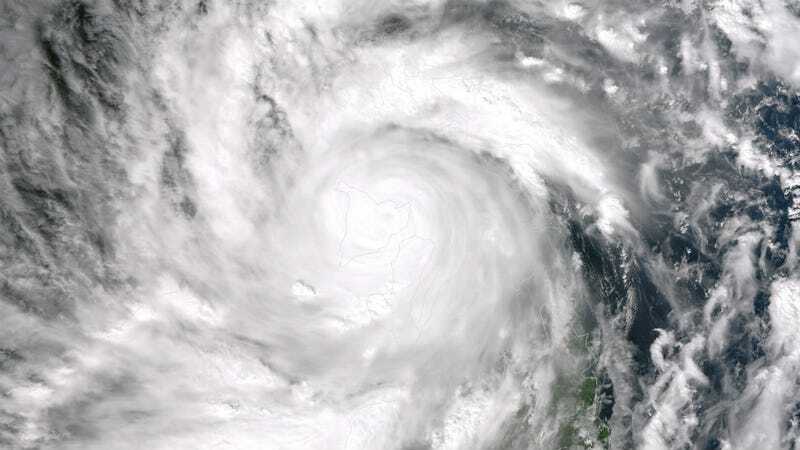 The storm was downgraded from a category 5 to a category 4; however, forecasters warn the storm could strengthen before reaching Vietnam, where it is predicted to strike next.